I've been up to my ears in kids' clothes this last couple of weeks. 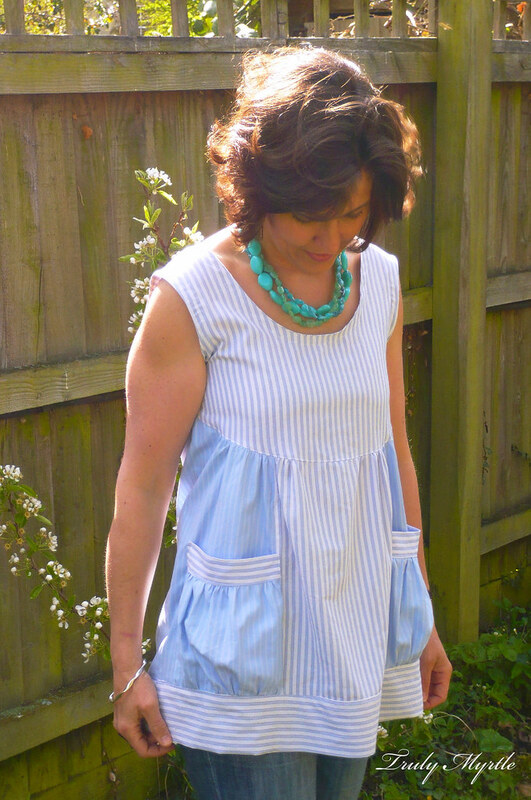 And, as much as I love making things for my kids, I love making clothes for myself even more.... is that such a bad thing?! I don't grow out of my clothes, nor do I dump them on the floor, or spill my dinner down my front. Well, not often. 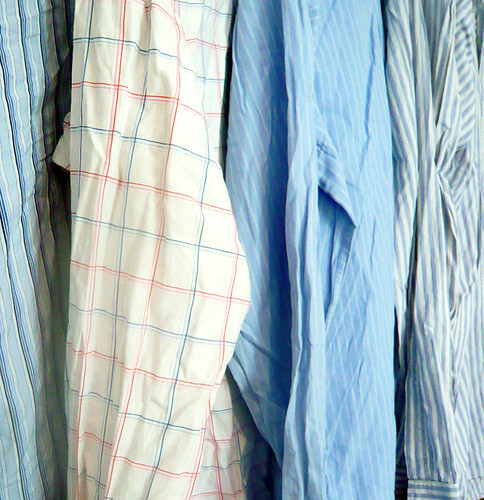 I started with a few of Mr Myrtle's old business shirts. I've been saving them for ages and over the years (!) 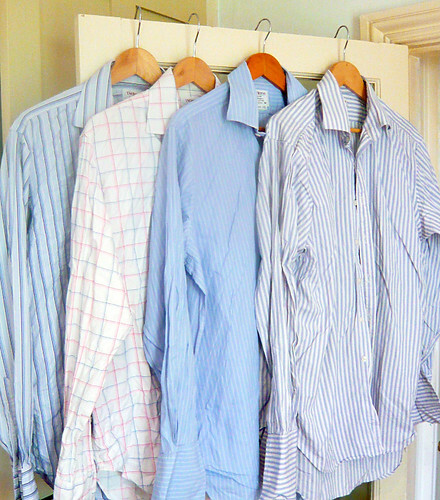 have acquired quite a stash of crisp cotton shirting. Aside from the hundreds of buttons, the fabric is in perfect nick. 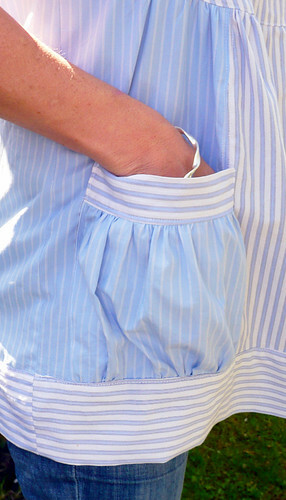 Just the collars and cuffs are worn. I fished out four goodies and took a photo thinking I'd use them all, but as I tend to make things up as I go along, in the end I used just two. By the time I decided, I'd chopped them up... so you've got a shot of all four. I had a few prerequisites when drafting the pattern. 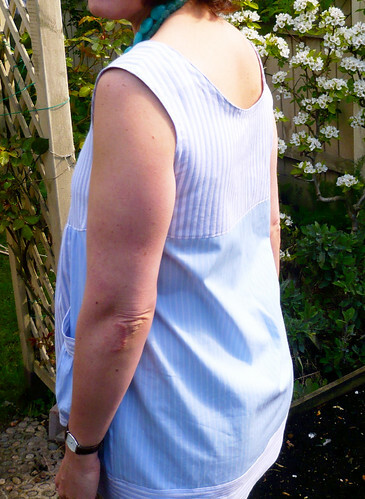 I wanted a yoke (taking inspiration from SouleMama's new tunic) but it needed to be loose enough to lift to breastfeed and I prefer a scoop neck. 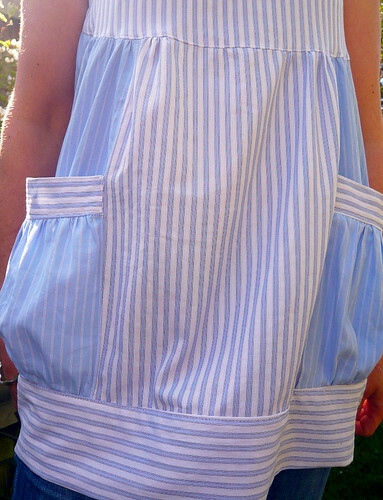 Pockets were a must and, with the reasonably narrow widths of fabric, it needed panels. I love this top. I love that it is made from Mr Myrtle's shirts. 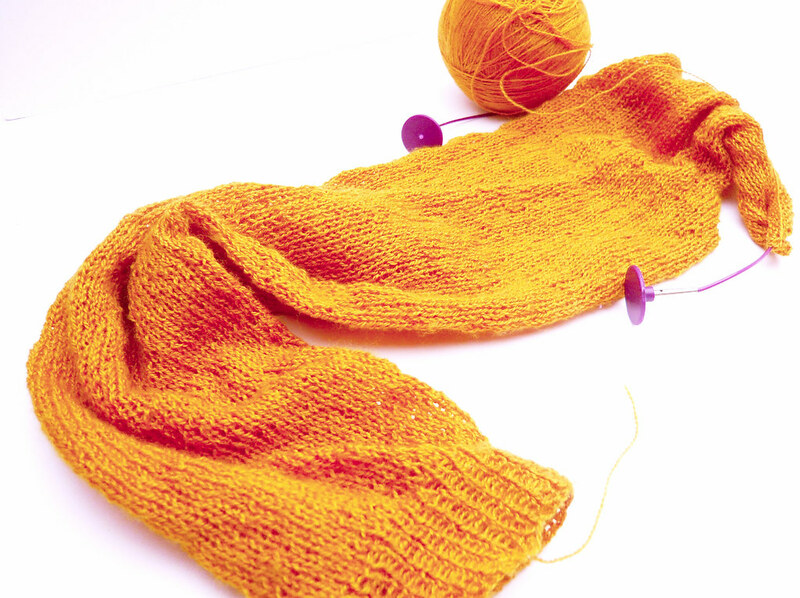 The deep curved yoke works like a dream. 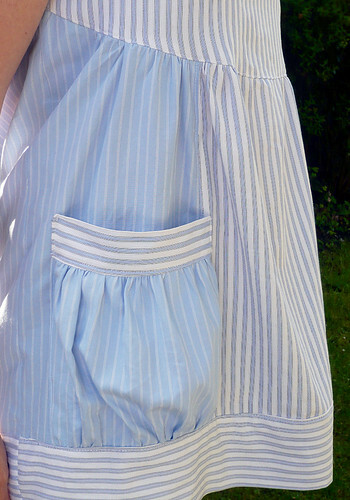 It is close fitting, but with the extra room under the sleeves, loose enough to lift. The pockets have been unpicked and moved a couple of times. They look fantastic gathered and, set to the side, give the top a great shape. 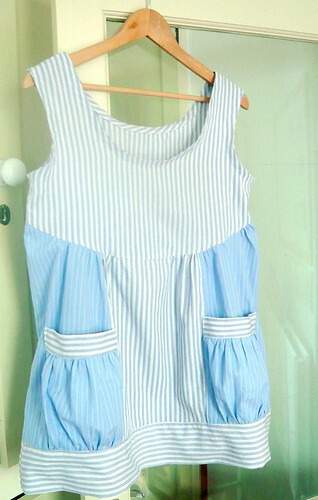 Actually, for Boyfriend Top Mark II (yip, I've got plans to change and improve this one - I've got more shirts remember?!) I think I'll spread them over the whole of the side panel. In the meantime, Mark II will have to wait a little. 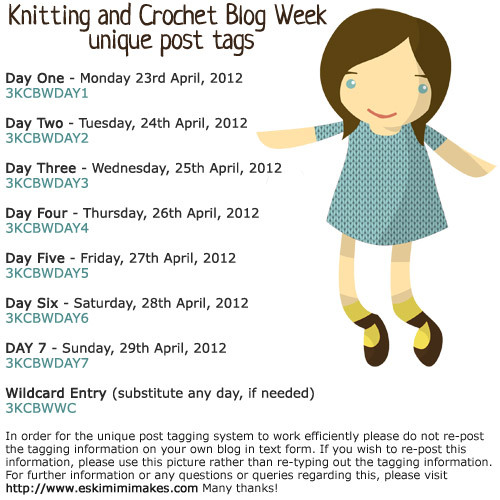 I'm joining in the 3rd Annual Knitting and Crochet Blog Week, starting Monday. 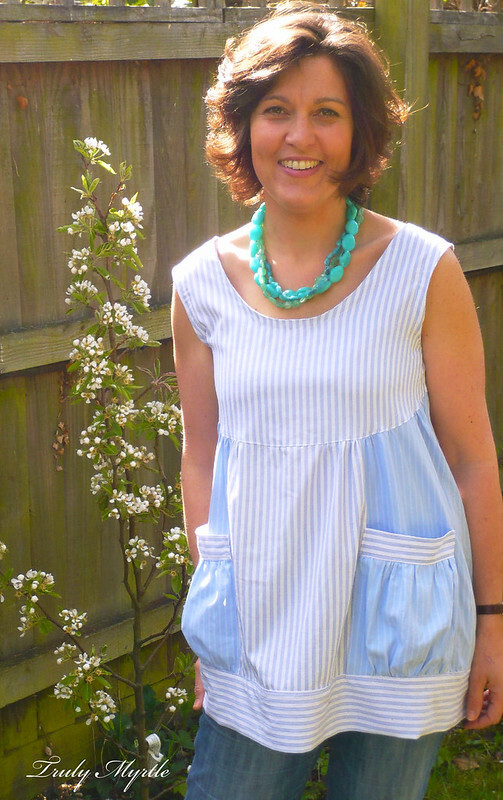 A post a day for seven days... and, it feels like it's about time we had another giveaway... a knitterly one this time.